I have seen these body mists EVERYWHERE on YouTube and blogs! These are from Victoria’s Secret and smell amazing – they have so many different scents, so there’s definitely a scent for everyone’s taste! I went to Florida last summer and as usual, I always go into the Victoria’s Secret Outlet (they sell all of the normal priced fragrances too). They have ridiculous prices on bras at the outlet, and underwear can be around 5 for $10! Getting back to the point, I wanted these for a while and saw that they were 5 for $30, which at first I thought was a little pricey but these have lasted me SO LONG! Well, basically, these are only half full now and I’ve had them since the summer and I literally use them every single day. I did purchase 6 items from the offer, but I gave one to my brother’s girlfriend and my mother pinched the second bottle of Coconut Passion! 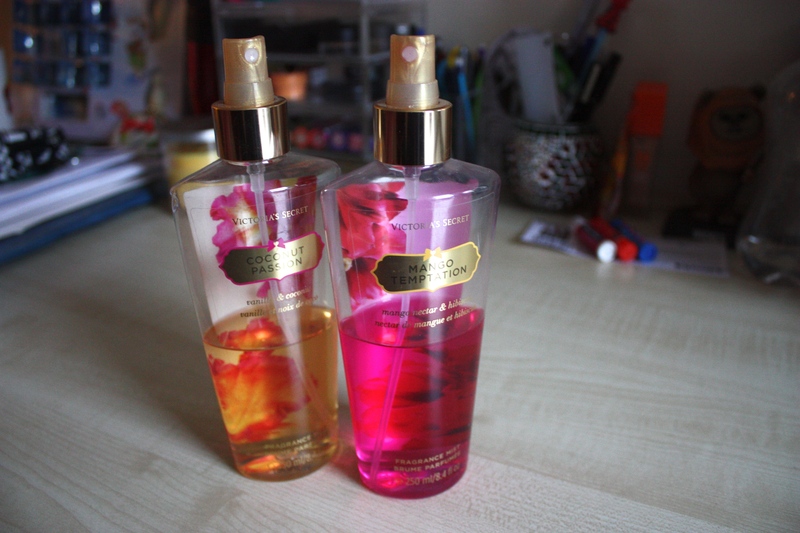 I also had the body lotion of Mango Temptation too, which smells amazing! I cannot rave about how much I love these! I can’t wait to get my hands on more, and luckily you can buy them in the UK Victoria’s Secret stores – although they’re 5 for £30 which is super steep! But I’m still feeling like I would from the lasting time of them! Also – you’ll constantly be bombarded with ‘Oh, you smell nice!’ ALL. OF. THE. TIME! there anybody else getting similar RSS issues? Anyone that knows the answer will you kindly respond?